Amethyst slabs is a violet variety of quartz.The name comes from the Koine Greek , a reference to the belief that the stone protected its owner from drunkenness. Amethyst price depends on its purple degree.The ancient Greeks wore amethyst and carved drinking vessels from it in the belief that it would prevent intoxication.Amethyst is a semiprecious stone often used in jewelry and is the traditional birthstone for February.The Greeks believed amethyst gems could prevent intoxication, while medieval European soldiers wore amethyst amulets as protection in battle in the belief that amethysts heal people and keep them cool-headed.Beads of amethyst were found in Anglo-Saxon graves in England.Amethyst geode is also used as a symbol of geomantic omen. 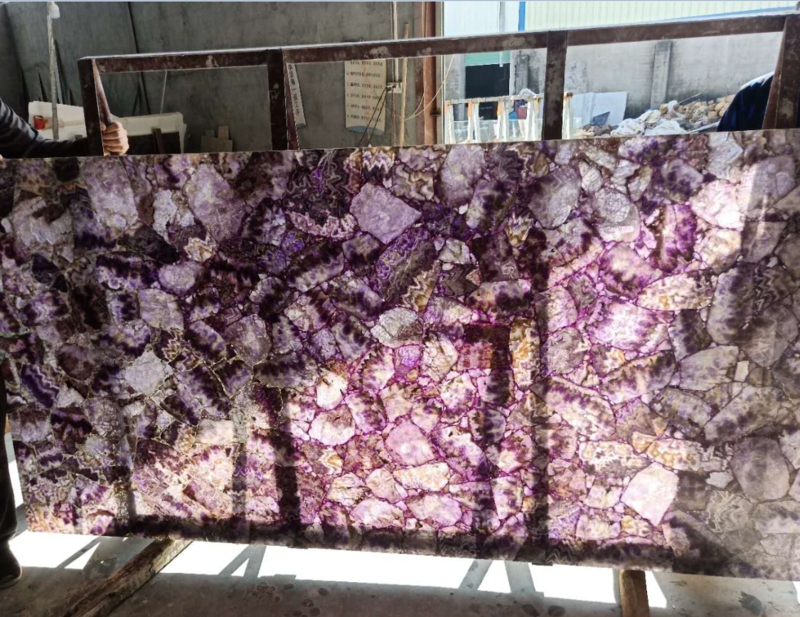 semi precious slabs series -- amethyst color slab, surface finish is polished, Size normally 240*120*2cm,thickness is 2cm (normally 0.5cm purple crystal +1.5cm natural commercial stone or artificial stone/glass/Acrylic, max size can be 300*180cm, size can be custom). 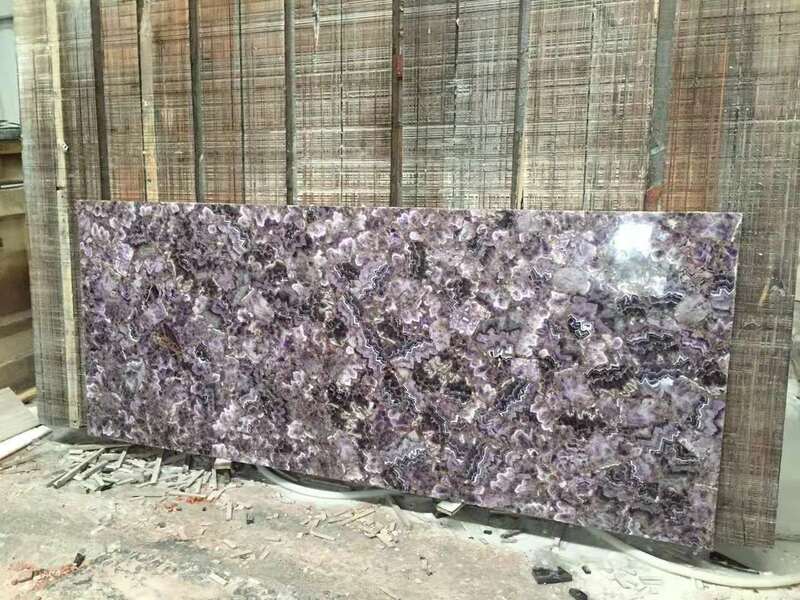 Mainly being applicated as wall tiles, table top, countertop-..
our Amethyst quarry locates in Africa, and monthly 1-2 containers block and about 1container of Amethyst slab (whole or laminated, translucent or no translucent) with high quality. Looking for ideal Amethyst Geode Manufacturer & supplier ? We have a wide selection at great prices to help you get creative. 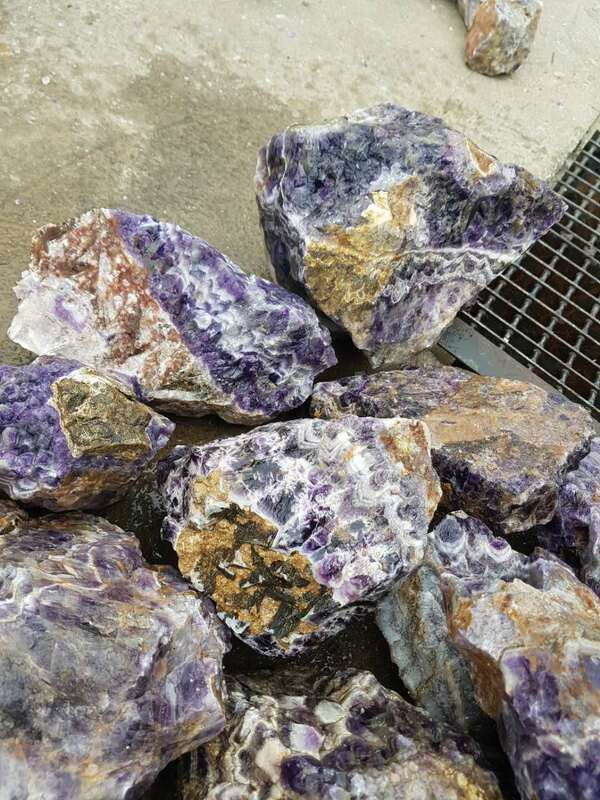 All the Amethyst Color are quality guaranteed. We are China Origin Factory of Amethyst Price. If you have any question, please feel free to contact us.